Now you’ve got that beautiful smile, why not ensure it is beautifully framed? We provide a wide range of facial rejuvenation treatments here at Dental Solutions. We can administer a range of safe and non-invasive treatments to help improve the appearance of lines, wrinkles and lips. We are an accredited Save Face aesthetic treatment provider. This means that we have been independently assessed against a robust set of standards in order to be certified as Save Face Accredited. Save Face is a Professional Standards Authority accredited register and is recognised by the Government, The Department of Health and NHS England. At Dental Solutions, our principal dentist Gavin is trained, experienced and insured to carry out your facial rejuvenation treatment. 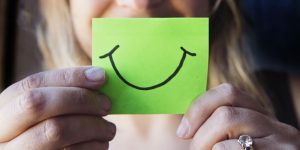 As a dentist, he has a comprehensive understanding of the anatomy of the nerves and muscles of the face and mouth, which means he can perform these delicate procedures with precision and care. 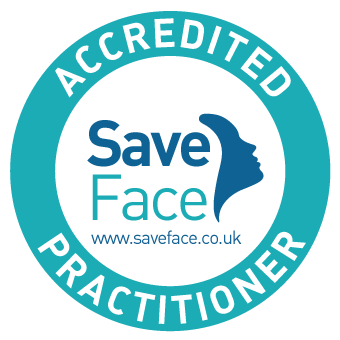 In September 2017, we achieved Excellence Status with Save Face. This means that we have achieved more than 50 positive reviews on the Save Face platform. You can read more about our achievement in this blog post. What facial rejuvenation treatments do you provide? After extensive research into the many different anti-ageing injectable solutions available, Gavin recommends and use the following products. Anti-wrinkle injections, or Vistabel to give it the trade name, is a firm favourite with our patients looking for facial rejuvenation – and one or two of our team, too! It is used to reduce wrinkles and lines like the frown lines and the lines around the eye and forehead. When the muscles relax, it results in a smoothed-out appearance and fine lines and deep-set wrinkles will disappear. Anti-wrinkle injections are one form of facial rejuvenation that is virtually pain-free to administer. You’ll be amazed to know you can have anti-wrinkle injections in your lunch hour. You can be in and out within 15 minutes, which is about the same time as a normal dental check-up. Not bad when you consider that the results last around 6 months. For more information, check out our dedicated anti-wrinkle injections page here. For lines in the skin below the eyes, we use two wonderful products named Juvederm and Revolax. Both products are made from a natural material called hyaluronic acid, a naturally occurring substance in the body which binds with the water in your skin to lift it and make it firmer. The fillers eventually break down after about 9 months and are absorbed back into the body harmlessly. Their key role is to define and give fullness to both the lips and the skin around the mouth and nose. It literally fills the skin out, thereby plumping out the lips as much or as little as you like, and dramatically reduces wrinkles. These treatments can give great results on the lines around the mouth, deep furrows between the eyebrows and those lines from the edge of the nose down to the corner of the mouth. It is also effective in minimising the appearance of scars from acne and injury. For more information, including pricing, check out our dedicated dermal fillers page here. If you are considering facial rejuvenation treatments within the Cheshire or Warrington areas feel free to call the practice and speak to one of our team in the strictest confidence on 01925 756565 or fill out the contact form below to book a consultation.